Another Thursday, another volunteer throwback. 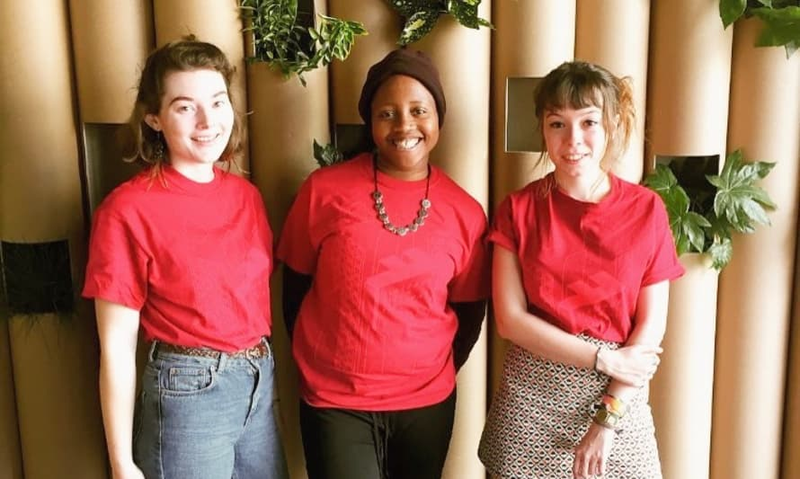 This week, our most excellent Operations Manager Abbe makes her Flatpack Blog debut as she delves into what it means to be a Flatpack Venue Coordinator. Hello, and welcome to this blog post. I’m excited to tell you about our vital Venue Coordinators. To match my excitement, please imagine strobe lighting, spinning disco balls and glitter cannons firing as you read. If you’re looking at this then hopefully that means you’re thinking about applying and want to find out more about this most coveted of volunteer roles. Congratulations, you’re on the verge of making the excellent decision to sign up, let me help you get there. Firstly I would like to give a big shout out to all of our volunteer family, you are wonderful and our festival simply would not happen without you. We are forever grateful for your time and enthusiasm. Now, let’s get down to business. “What is a Venue Coordinator? !” I hear you ask over the sound of the glitter cannons going off. Our Venue Coordinators are a small but super bunch who act as the first point of contact for the Flatpack team and other volunteers at the venue they are based at. They are confident, friendly and cool as cucumbers. Ensuring that our audience members and volunteers are well looked after and informed about the exciting goings on throughout the day, they also provide the vital link between the festival team and their designated venue, helping to keep everything running smoothly. An ideal role for anyone who fancies a bit more responsibility, Venue Coordinators work closely with our Volunteer Coordinator and Operations Manager who are always a phone call away should they be needed. I think so, but if you disagree and want to find out more then feel free to drop us an email at strong>info@flatpackfestival.org.uk, otherwise get applying by clicking RIGHT HERE! The 12th edition of Flatpack Film Festival will take place in venues across Birmingham from 13 – 22 April 2018.